November is always the time where the razor comes out and my legs that resemble the whitest of white pieces of paper come out. I promise coming out of Winter you could almost see through my skin and it’s quite embarrassing for a half European half kiwi girl. With so many events happening I have to get my legs out at least twice a week to flaunt my dress/skirt. So I can’t be sporting white legs and need to have that sun kissed looked (for photos of course). Back in the day I used to rock the dark knees and ankles as I had no idea you needed to moisturise your knees and ankles before apply so the product didn’t sink into the dry skin. After mastering this my tan game was strong. The name on almost everyone’s lips when you mention at home tanning. 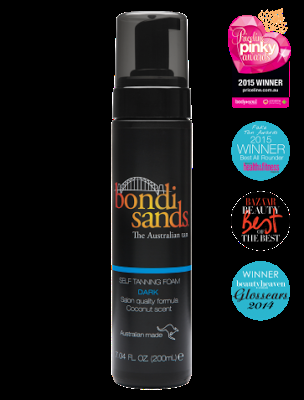 Bondi Sands has really made a name for itself and takes the market by storm. Of course there’s a reason why and for me it is due to the fact it is way too hard to stuff it up. I use the tanning mitt with the mousse for the flawless application making sure my tan doesn’t have streaks and applies evenly all over. This is the tan I used in the above photos that I can happily report doesn't wash off in the ocean. I’ve been in a shop looking for a dress straight after a tanning at home and got stopped and asked if I had used Bondi Sands- the girl must’ve known her sh*t.
This years Spring Racing season all I used was Bondi Sands. One thing I failed to mention with this tan and is another aspect I love, is that the tan slowly just fades in the shower. You don’t end up blotchy and having to lock the legs up until the tan is gone. 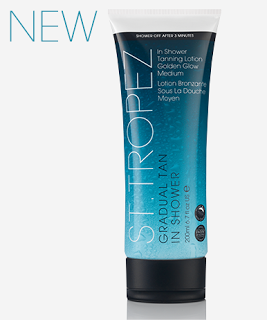 A brand I have been using since I was a youngen is Le Tan. Their Flawless legs were in abundance in my bathroom cupboard. It was like a foundation for your legs and just washed off in the shower, but was stayed in place day/night. Since then I have learn to explore a little more through their range and try new products. The Ultra Dark Wash off Self Tanning Spray is the only spray bottle tan I will use on my legs. Sometimes I am just after a temporary tan and not looking to commit to anymore then a day of tan, as there is just no point if I am only getting my legs out briefly.So the spray I use when I want the quick and easy to remove fix, this is it. I can’t say a lotion is my go to form of tanning but it is easily growing to be something I can and will use a lot more often. 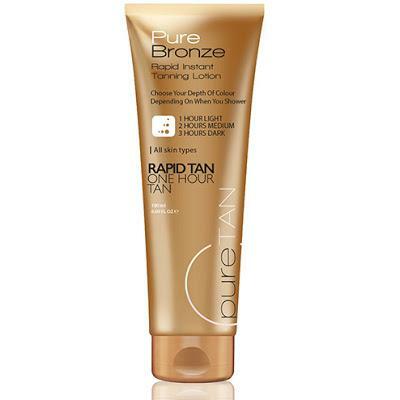 I love the smell of PureTan as it is subtle and doesn’t smell like you’ve dowsed yourself in tanning product like most. All of PureTan’s products are cruelty free and certainly NOT tested on animals. This is an absolutely genius product for those time poor tanners who don’t mind waiting for a tan to develop (like myself most days). You just use this while you are in the shower as you would a body wash. I step away from the water and let it sit for a few minutes then just rinse and jump out. It is gradual so after a few times using it you will notice your skin getting sun kissed (magically in the shower) and then you just continue to use it to maintain the color. The smell is beautiful as well and reminds me of the days spent on the Bali beaches tanning. I am head over heels for the new Australis Perfect Match range of at home tanning products as they have recently made available three tan tones for the three different skin types. There ain’t nothing pretty with a tan that looks too orange walking around looking like the newest Oompa Loompa.And generally comes down to the base of your tanning product whether it is violet base, green base and ash base. I have a neutral skin tone so recently learnt that I have to use the green base-tanning product. Where as my previous tanning product was a violet base leaving me looking like an Oompa Loompa.